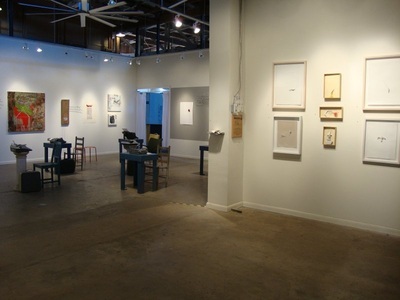 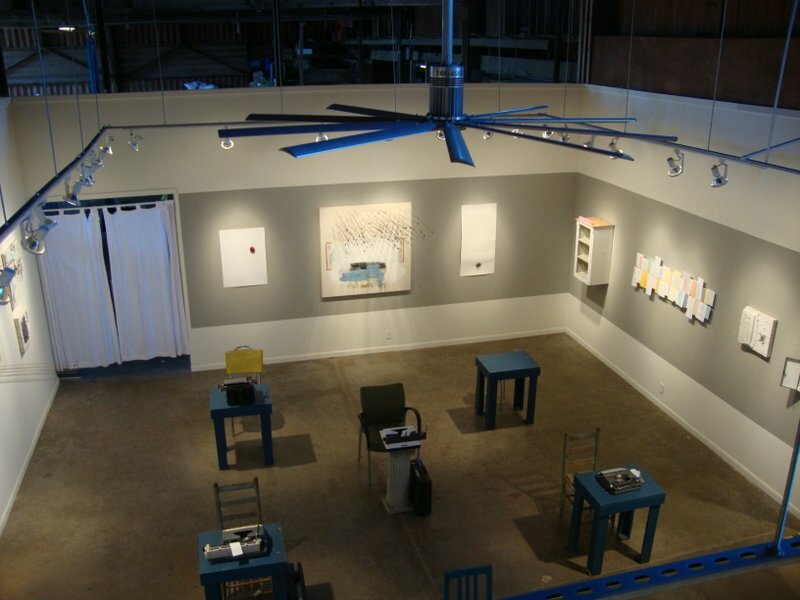 Pump Project gallery, Austin. 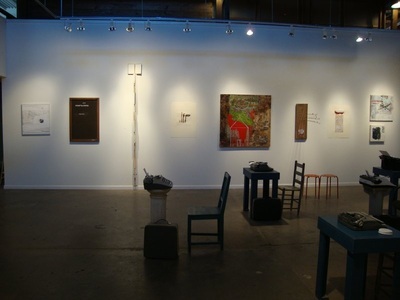 February-March 2010. 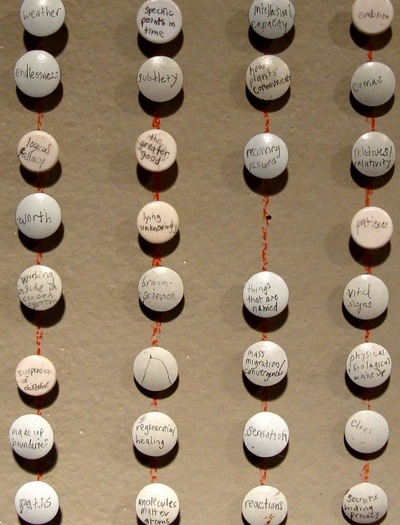 "Those roles which, being neither those of Hero nor Heroine, Confidante nor Villain, but which were none the less essential to bring about the Recognition were called the Fifth Business in drama and opera companies organized according to the old style." 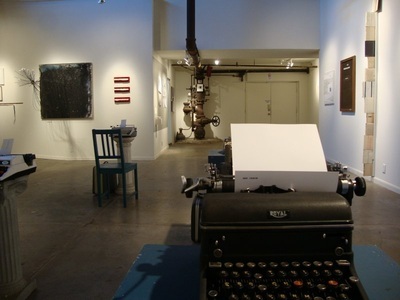 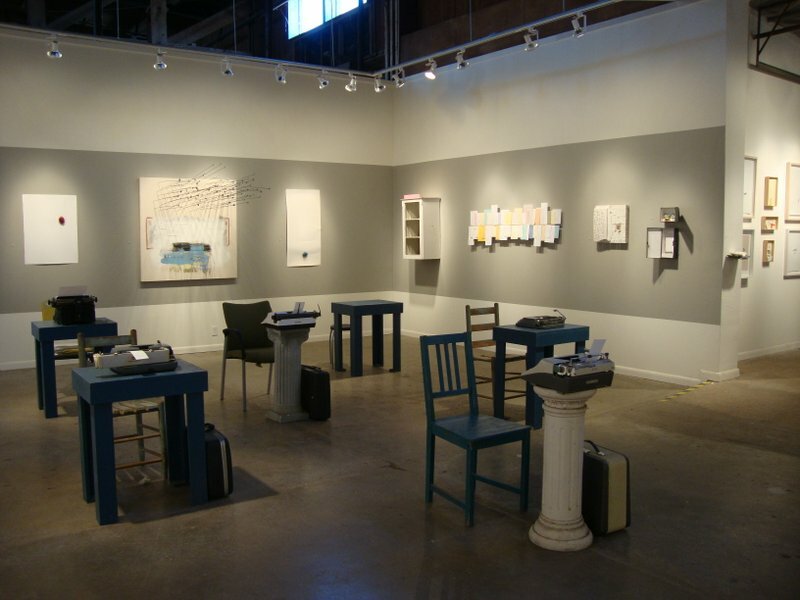 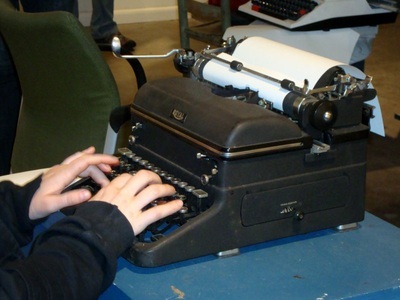 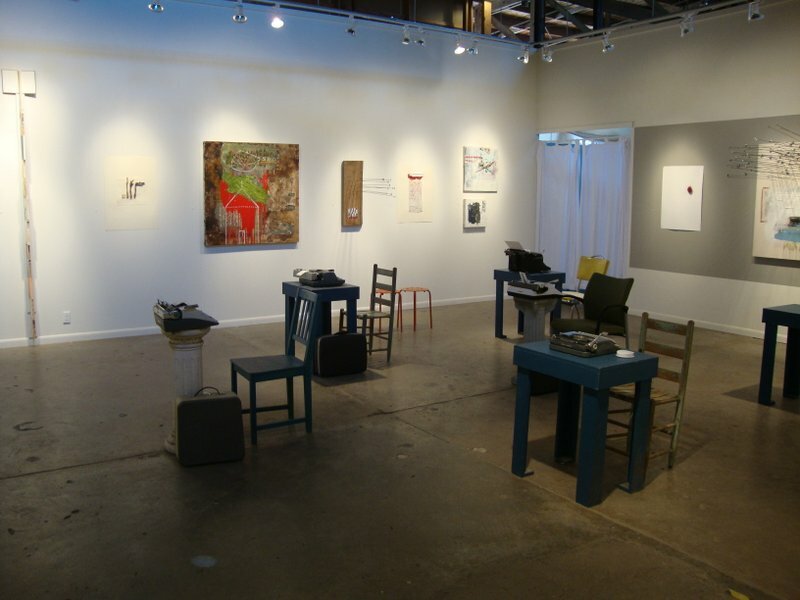 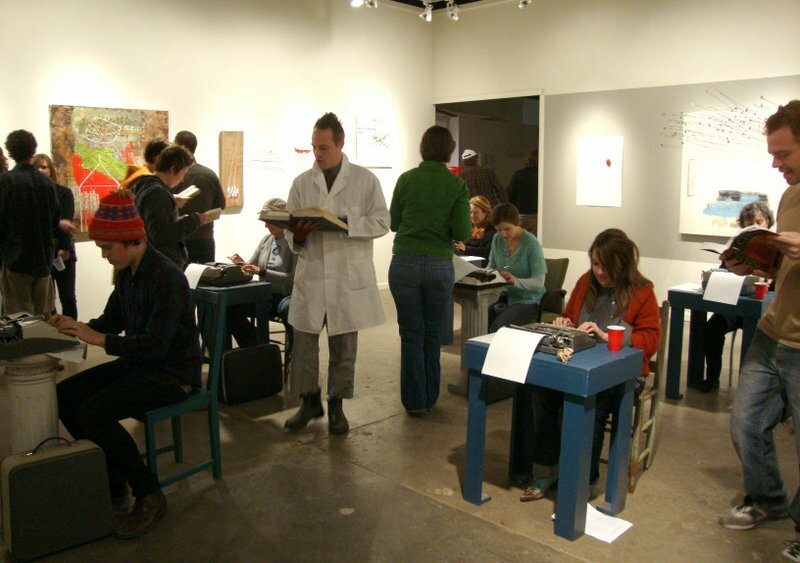 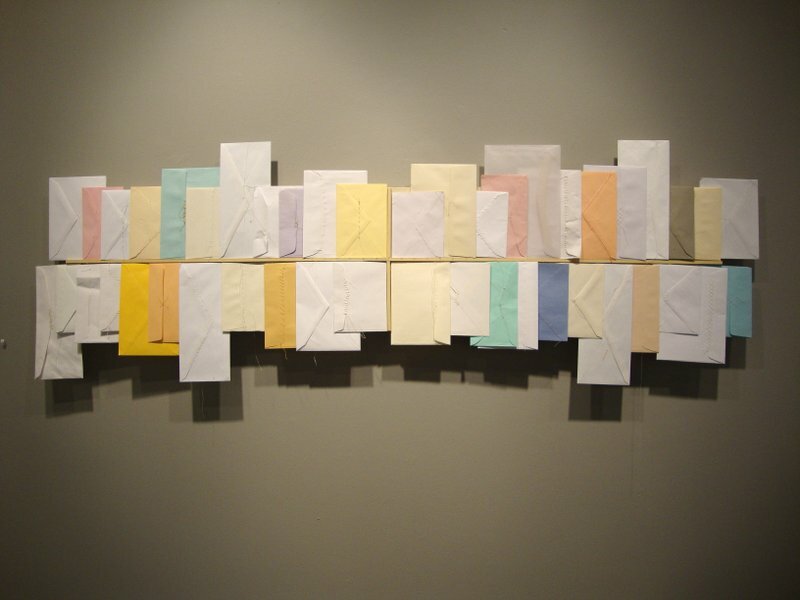 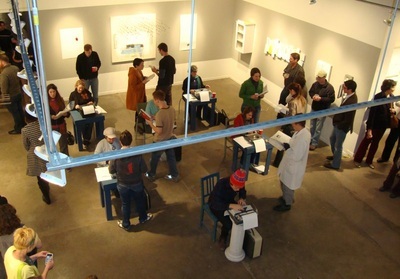 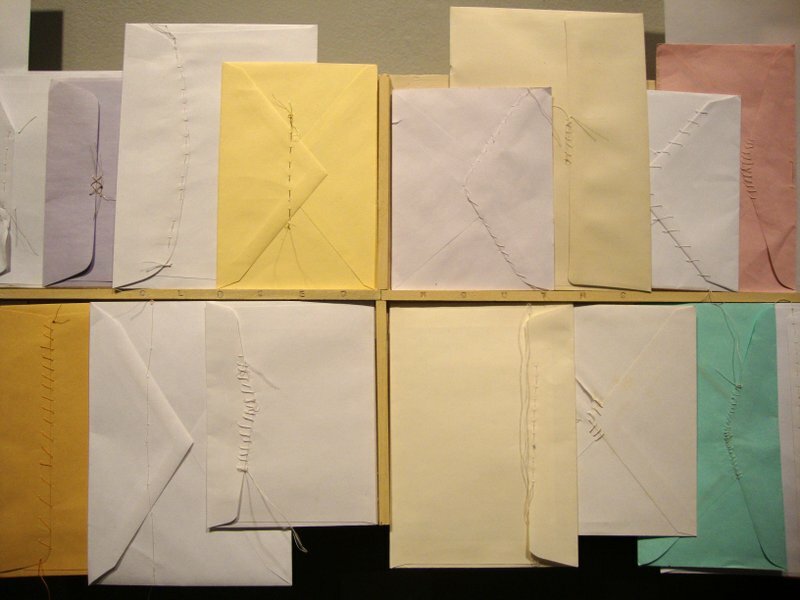 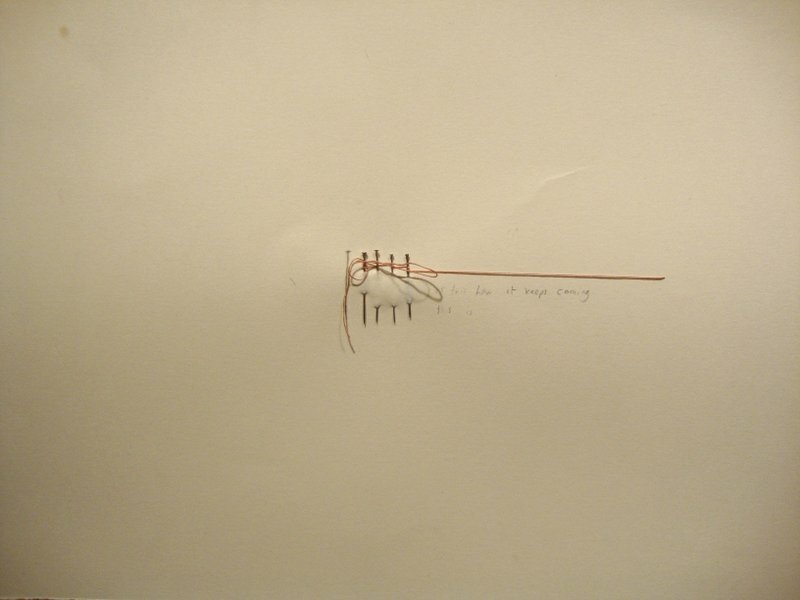 fifth-business was a collection of mixed media work by artists Mark Johnson and Debra Broz with a special performance of the Typewriter Chorus by Michael Merck. 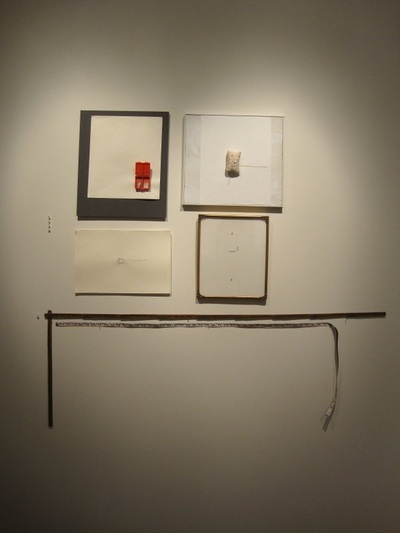 The exhibition drew heavily from the concept of the "cabinet of curiosities" - the encyclopedic collections of objects whose categorical boundaries were yet to be defined. 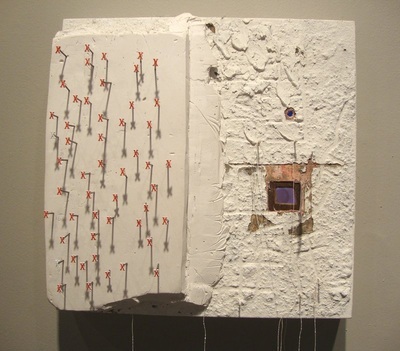 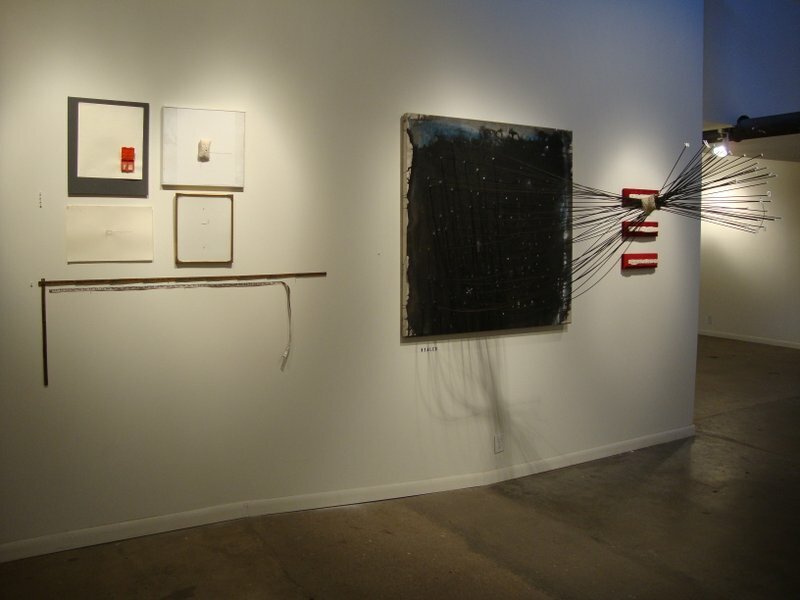 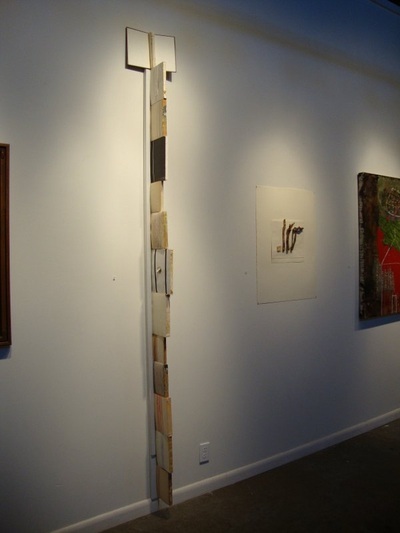 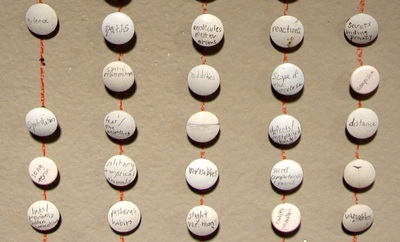 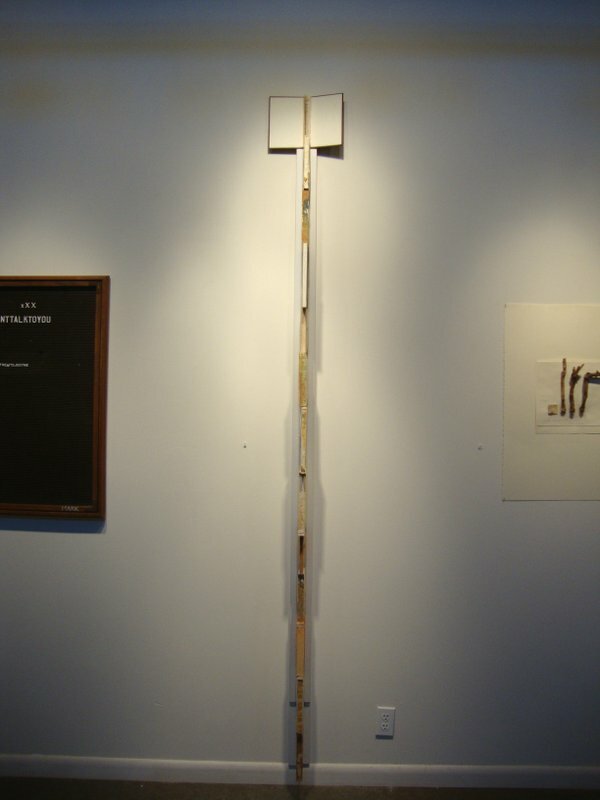 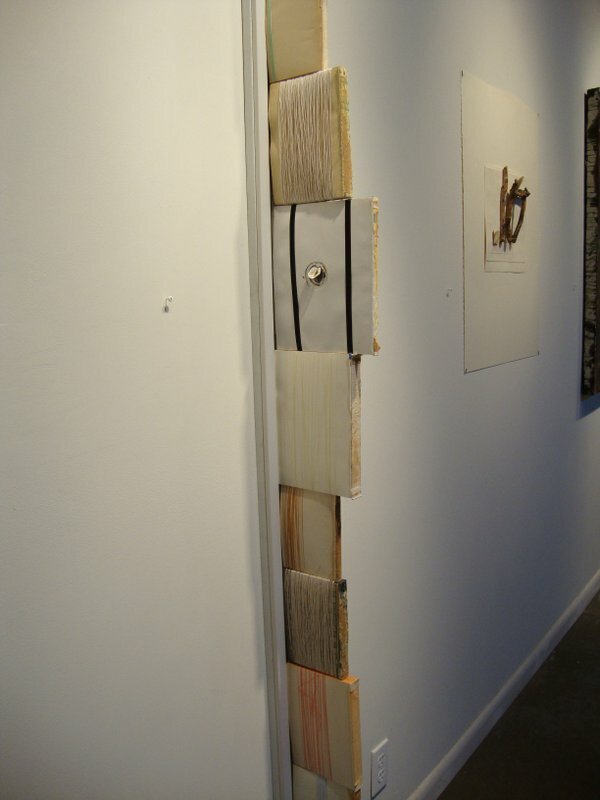 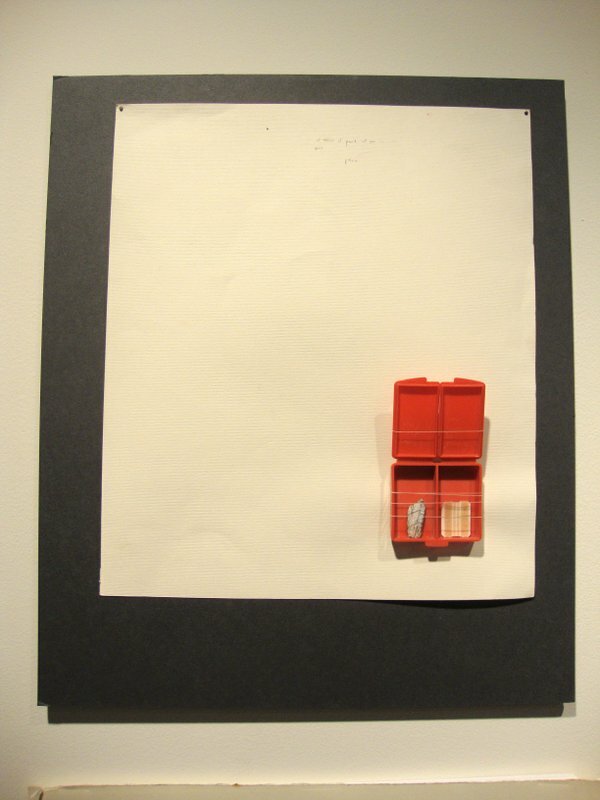 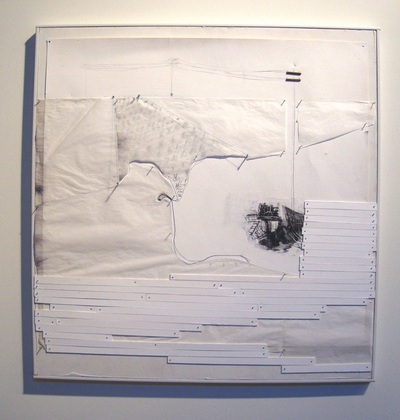 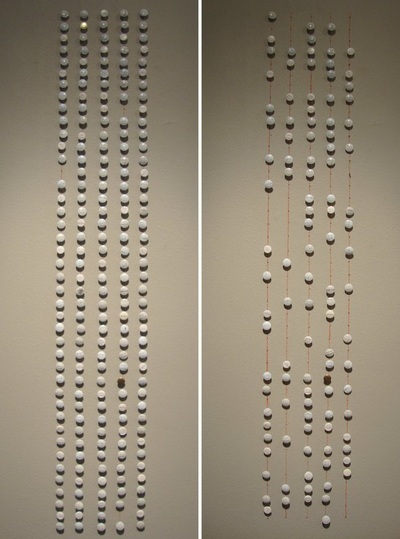 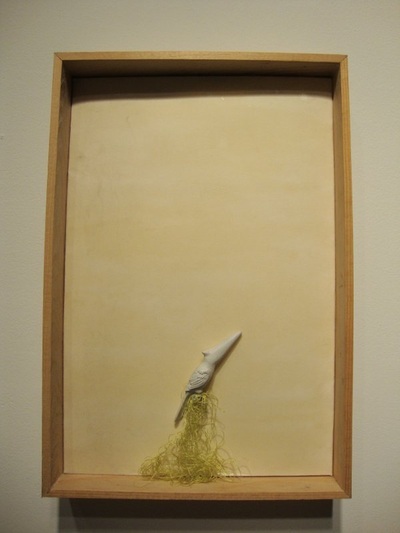 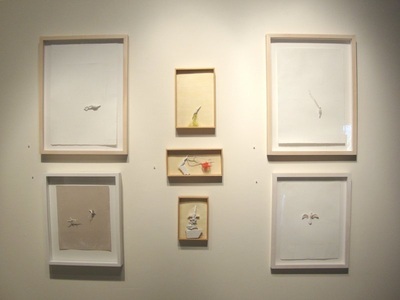 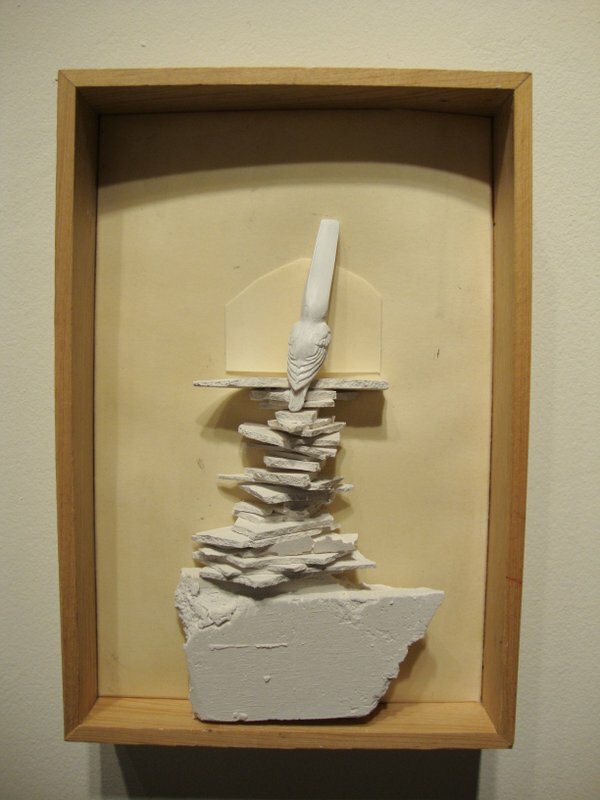 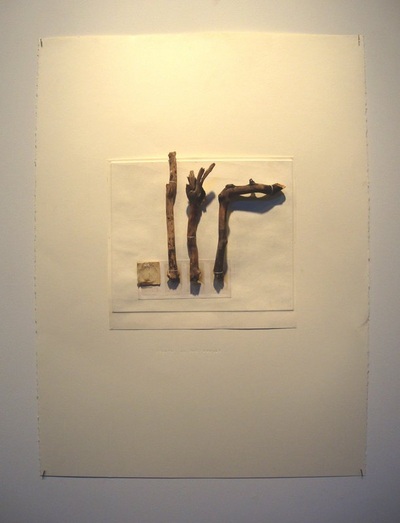 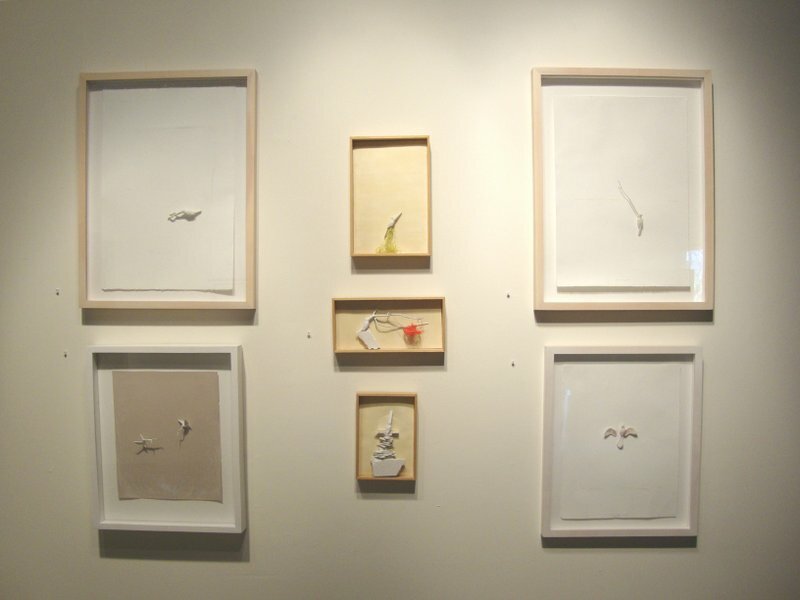 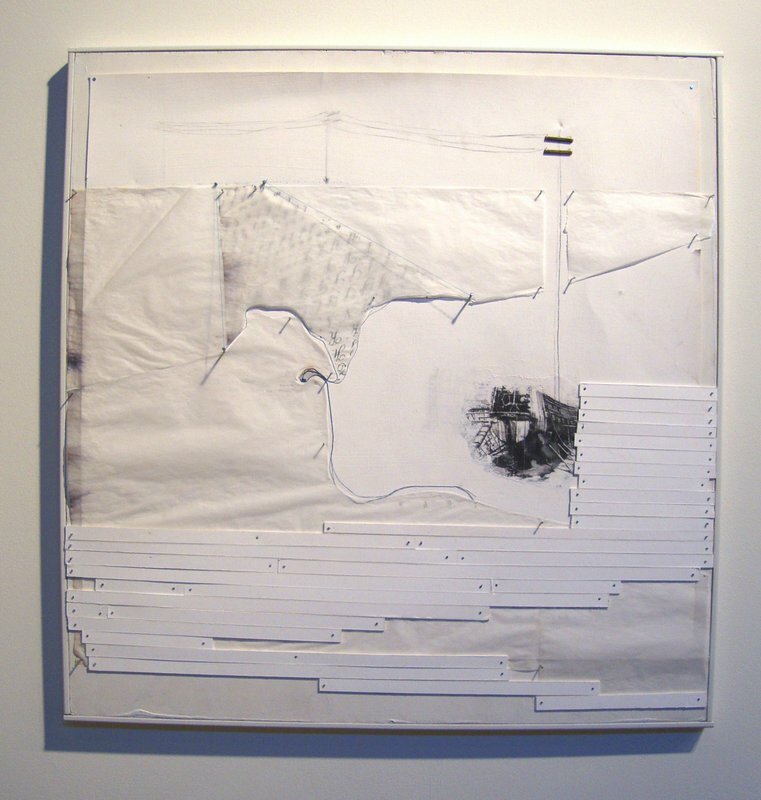 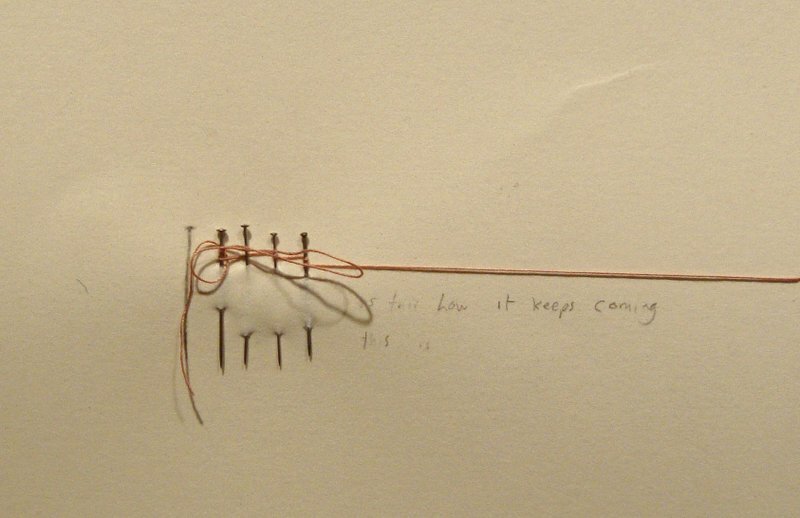 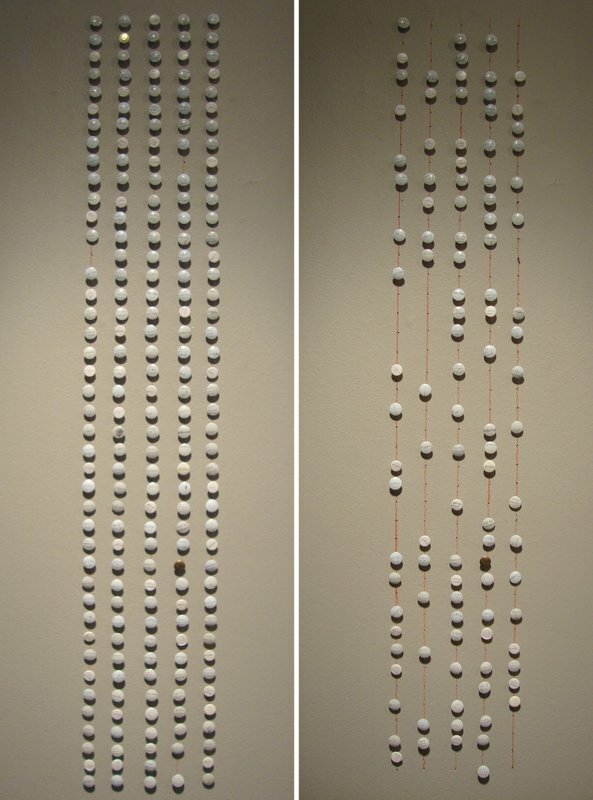 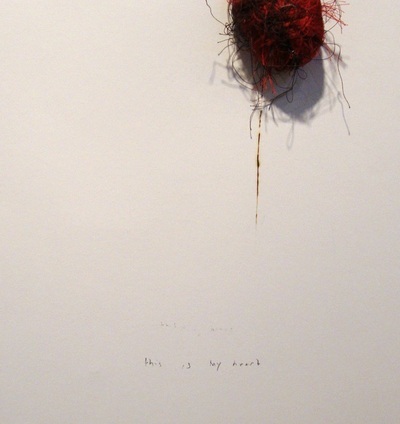 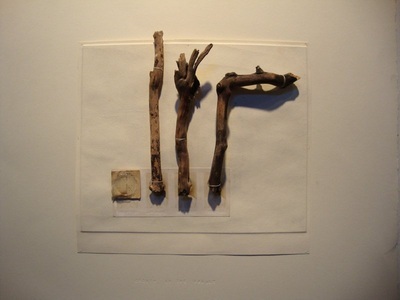 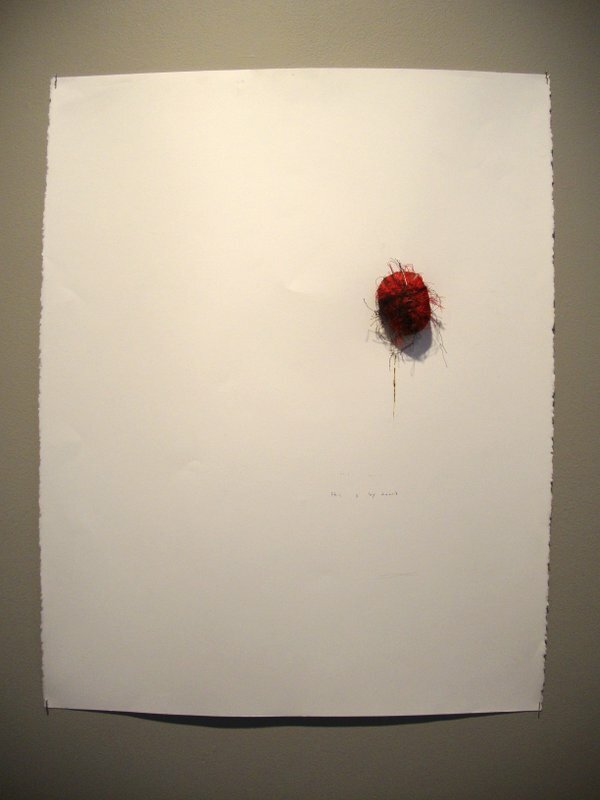 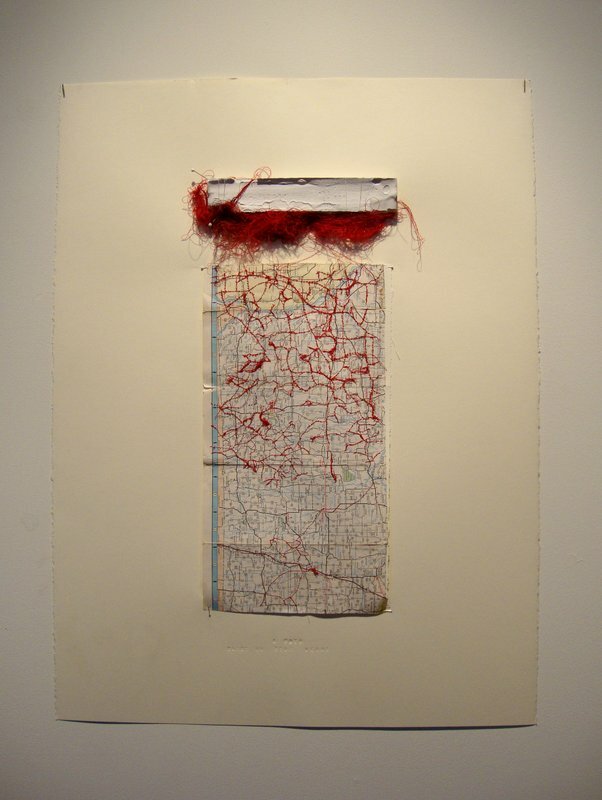 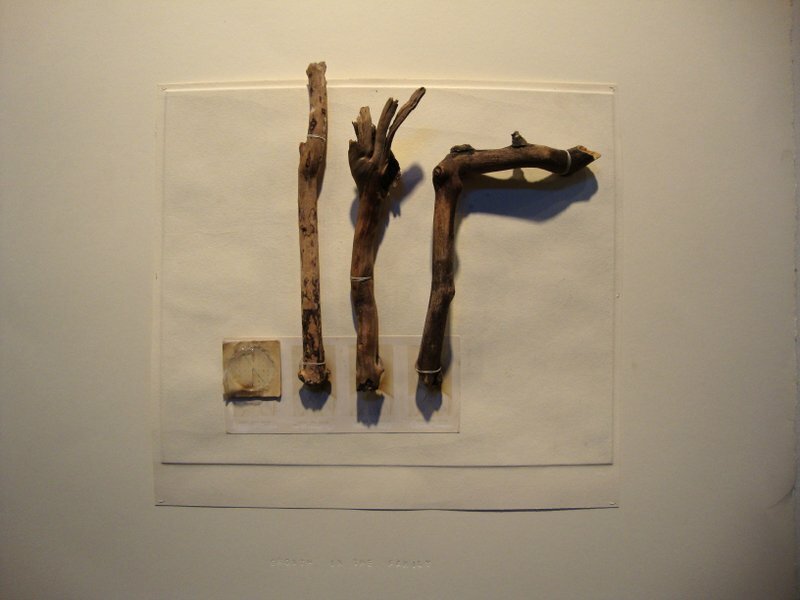 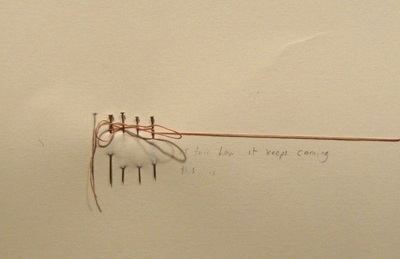 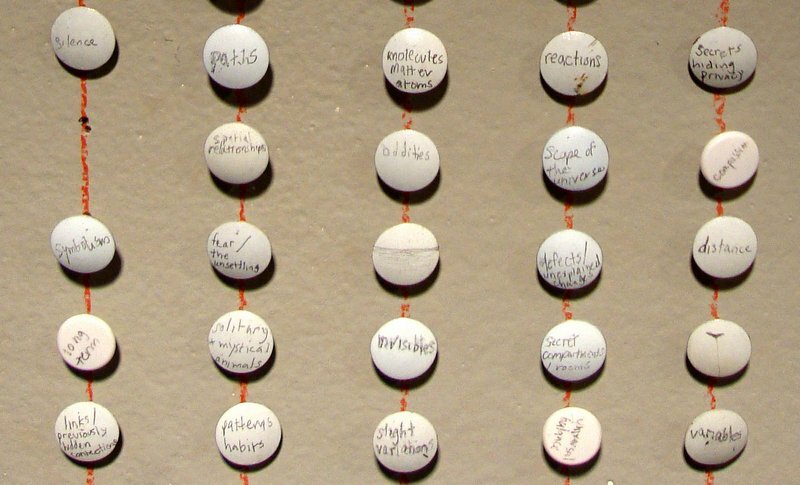 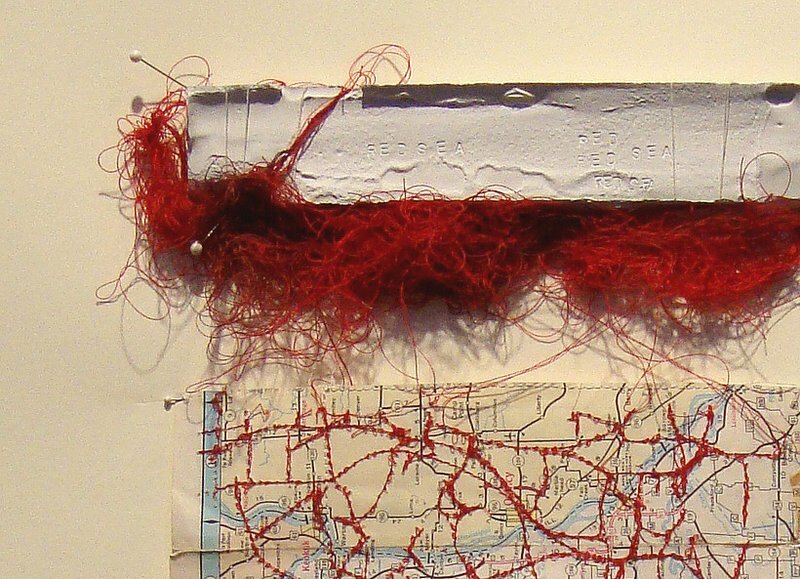 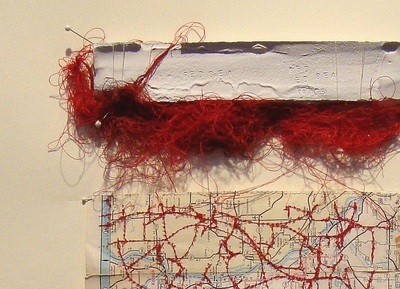 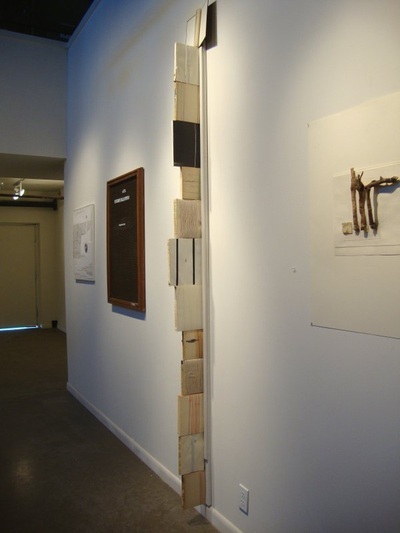 Both artists, operating under the role of fifth-business, manipulate space, text and found objects.